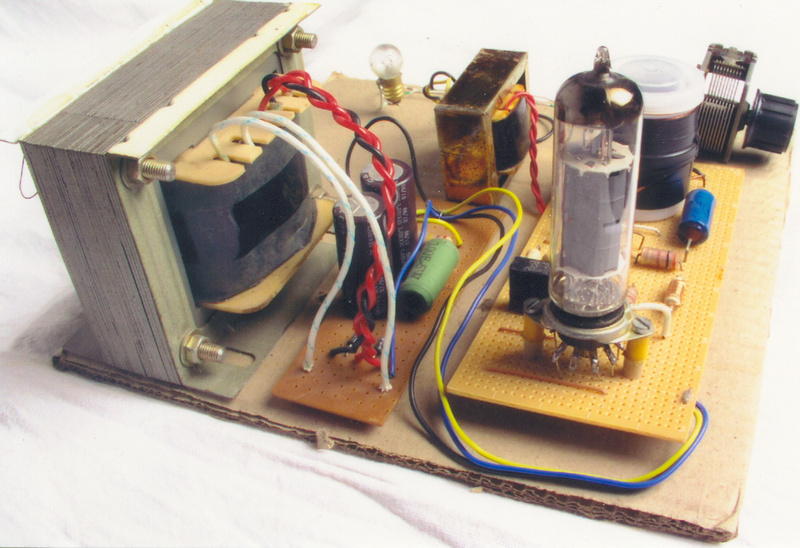 Introduction: Bring back the nostalgia with this one tube transmitter. 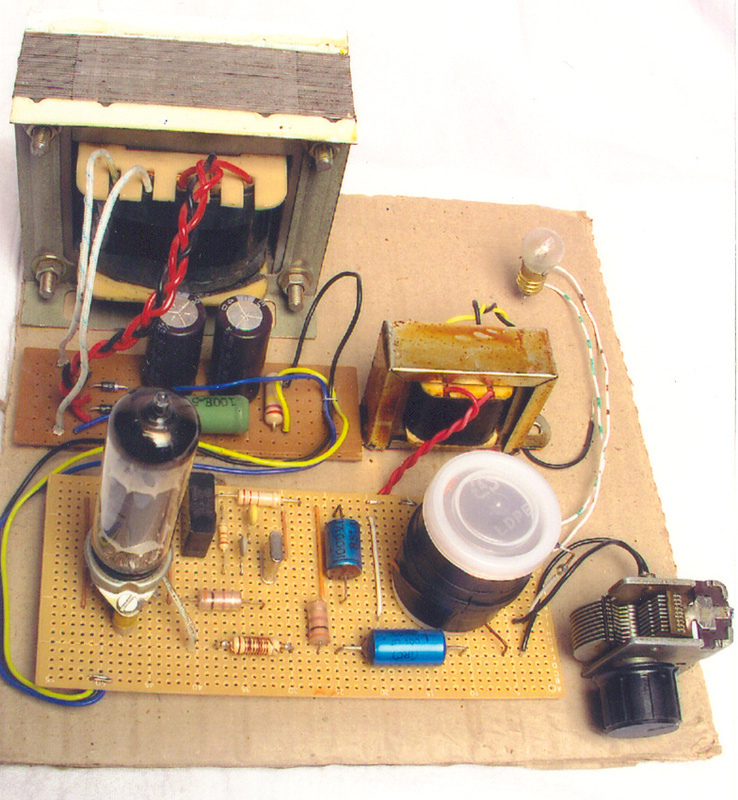 The EL84 tube is still available or can be salvaged from an old radio set. New tubes can be ordered from http://thetubestore.com. 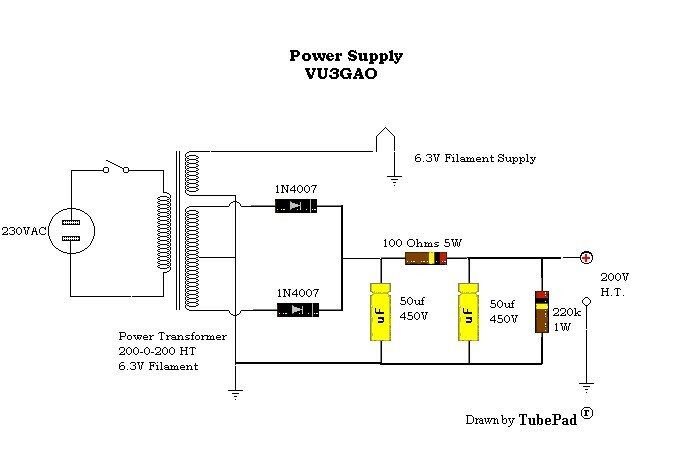 The circuit is self-explainatory and should always be used with proper output load. 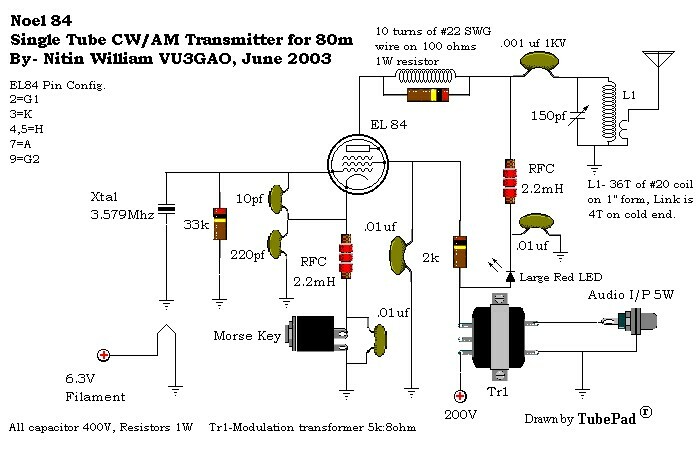 The transmitter takes about 10W DC in and puts about 5-7W out. Construction: Mount the nine pin tube socket on the general purpose board by 1/2" spacers at one end of the board. Keep all lead lengths as short as possible to avoid losses and parasitic. All resistors should be 1/2W unless stated on the schematic. 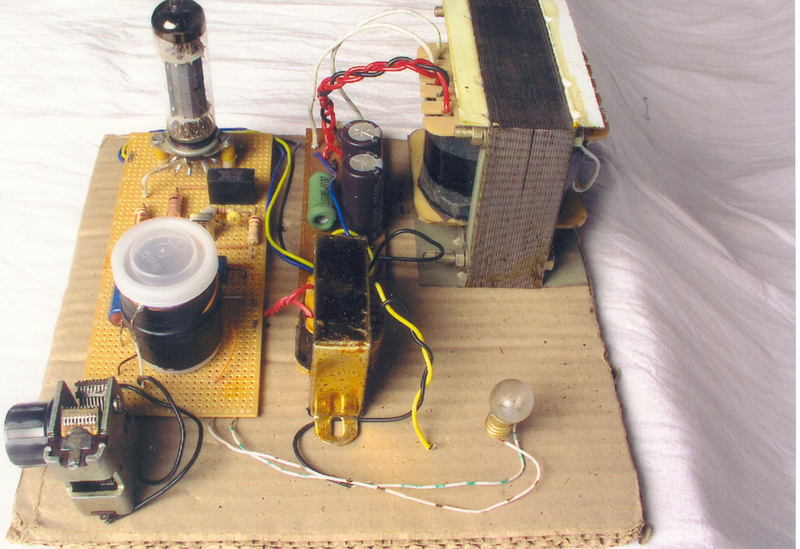 The tuning capacitor on the tank circuit is air variable type. Do not use the common 2J type broadcast receiver gang condenser. Keep the connecting lead to the tuning condenser short and thick. Use 35mm film container to wind the tank coil. For link winding use hookup wire for easy winding. Tape the entire assembly for neatness. Mount the tank coil close to the output circuit without using long connecting leads. Tuning: After applying power, give about 30 seconds for the tube to warm up. Connect a 6V 0.5 Amp lamp as dummy load and press the key. If Murphy did not visit you, the lamp should light up indicating RF. Tune the 150pf condenser for maximum output, i.e. maximum brightness of the lamp. At full power the lamp will glow ultra bright. I recommend use of antenna tuner on air. Note. For AM transmission the code key can be used as PTT. Close key to transmit. CAUTION – High voltages are present in the circuit, which could be fatal. Please take all precautions. Always use a fuse protected power cord. Make sure the grounding is proper.